Nike is ramping up the comeback of the Zoom Vick 3. Having just unveiled a darker colorway with “Falcons,” the Swoosh is also offering a choice of Michael Vick’s signature shoe for those who want something a little lighter. 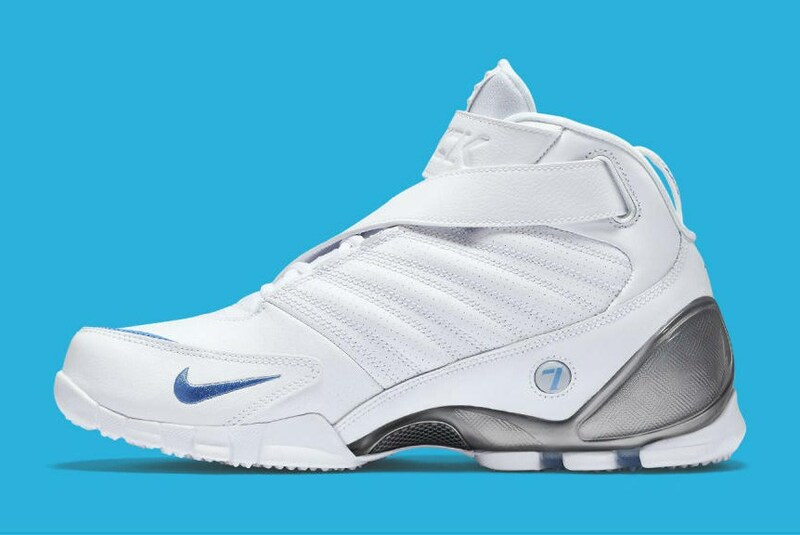 In this sleeker colorway, the Zoom Vick 3 features a predominantly white upper and minimal University Blue accents, all tied together with a gray heel counter. Stay tuned for more information about this release.